India and China decided to work towards a new bilateral Memorandum of Understanding (MoU) on Defence Exchanges and Cooperation to replace the MoU signed in 2006. 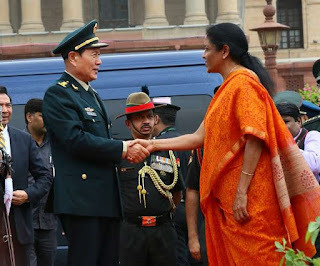 The decision was taken during a meeting between Defence Minister Nirmala Sitharaman and her Chinese counterpart, General Wei Fenghe. The Jawaharlal Nehru University (JNU) announced that the School of Management and Entrepreneurship will be renamed to ‘Atal Bihari Vajpayee School of Management and Entrepreneurship’, as a tribute to the late Prime Minister Atal Bihari Vajpayee. Atal Bihari Vajpayee passed away on August 16, 2018. 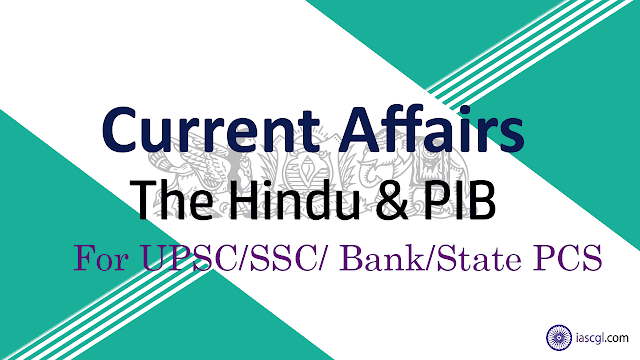 He served as the Member of Parliament for Lucknow, Uttar Pradesh. He was a member of the Parliament for over four decades. He was elected to the Lok Sabha for ten times, and was twice elected to the Rajya Sabha, the upper house. 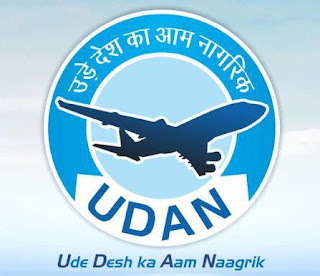 The Centre unveiled a draft scheme for extending the affordable air travel programme UDAN to international circuits, with state governments identifying the routes for operation. The draft International Air Connectivity (IAC) scheme envisages to increase the international ticketing to 20 crore by 2027. According to the draft scheme, state governments will identify the routes to be connected, and airline operators will assess demand on the identified routes and submit proposals for providing connectivity. The World Bank launched ‘bond-i', the world’s first bond to be created, allocated, transferred and managed by using distributed ledger technology. This two-year bond successfully raised 110 million Australian dollars (USD 80.48 million). The Tamil Nadu State Biodiversity Board has initiated steps to identify and declare Biodiversity Heritage Sites (BHS). BHS are well defined areas that are unique, ecologically fragile ecosystems. Under Biological Diversity Act, 2002 (BDA), the State Government in consultation with local bodies may notify in the official gazette, areas of biodiversity importance as Biodiversity Heritage Sites (BHS). The State Government in consultation with the Central Government may frame rules for the management and conservation of BHS. The National Biodiversity Authority (NBA) issues the guidelines for selection and management of the BHS. It covers terrestrial, coastal and inland waters and, marine ecosystems having rich biodiversity. Ameenpur lake in Telangana is the first waterbody in the country to be declared as a BHS. A group of scientists have published a paper in the Proceedings of the National Academy of Sciences deliberating on how the planet might move into a high temperature “hothouse earth” pathway from where there would be no return. However, the number of children in care homes came down to 2.61 lakh in the data submitted by the Centre before the Supreme Court in March 2018. Children are subjected to corporal punishment and other abuse in these homes. The SC Bench proposed to set up oversight committees at the national and State levels to monitor the functioning of childcare homes. Article 21A. The State shall provide free and compulsory education to all children of the age of six to fourteen years in such manner as the State may, by law, determine. Article 24. No child below the age of fourteen years shall be employed to work in any factory or mine or engaged in any other hazardous employment. Article 39. The State shall, in particular, direct its policy towards securing— that children are given opportunities and facilities to develop in a healthy manner and in conditions of freedom and dignity and that childhood and youth are protected against exploitation and against moral and material abandonment. Article 45. The State shall endeavour to provide, within a period of ten years from the commencement of this Constitution, for free and compulsory education for all children until they complete the age of fourteen years.